Dr John C. Maxwell is an internationally recognised leadership expert, speaker, coach, and author who has sold over 20 million books. Dr Maxwell is the founder of EQUIP and The John Maxwell Company, organisations that have trained more than 5 million leaders worldwide. Every year he speaks to Fortune 500 companies, international government leaders, and organisations as diverse as the United States Military Academy at West Point, the National Football League, and the United Nations. If you were to type “Leadership Gurus” into Google, John’s is the first mentioned name. 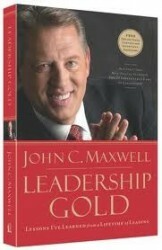 The global John Maxwell Team has around 1400 accredited coaches/trainers worldwide. Act Knowledge founder Jürgen Oschadleus is part of the John Maxwell Team, and is accredited by the John Maxwell Company to provide leadership coaching, training and presentations. 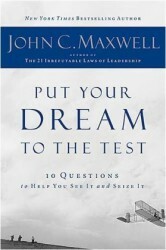 Tools and Resources from John Maxwell Co.
21 Irrefutable Laws of Leadership –Discover the 21 laws that make leadership work successfully and learn valuable techniques that will help you to improve your ability in that area. By incorporating these laws into your life, you are certain to transform the quality of your leadership immeasurably. As you develop your people in the area of leadership, you will begin to see a positive impact on your whole organisation. 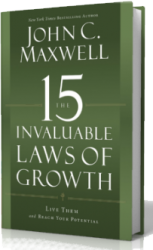 The 15 Invaluable Laws of Growth – John C. Maxwell says in order to reach your potential, you must be intentional about personal growth. This training curriculum will help you understand how personal growth really works, and how you can develop yourself to become a more effective and fulfilled individual. You will learn how to build up your sense of purpose and become more successful in every area of your life. Come alongside John in your growth journey to become the person you are destined to be! 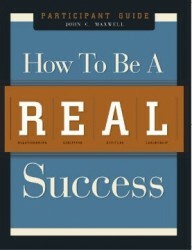 How to be a Real Success – Success is not a destination. It is a process – a lifelong strategy of building on strengths, minimising weaknesses, and focusing on the people and points of life that are most important. In How to be a REAL Success, John Maxwell will help you understand the keys you need to succeed in life.Whether you are a civil servant or a corporate executive, you will achieve great things by understanding four very important success building areas: Relationships, Equipping, Attitude, and Leadership. The ability to connect with others is a major determining factor in reaching your full potential. It’s no secret! Connecting is a skill you can learn and apply in your personal, professional, and family relationships – and you can start now by taking this course! Becoming A Person of Influence –Creating positive influence will not only be a catalyst to your own success, it will become the legacy you will leave behind. In this course, you will be lead through the principles of influence. Learn the importance of influence and its direct impact on your leadership ability, and be introduced to ways to increase your influence within your organisation and beyond. Leadership Gold – Delivering Dr John Maxwell’s most valuable lessons gained from forty years of leading people; this course offers the best of the best, the tried-and-true lessons of leadership.We venerate great leaders, and we have the tendency to assume their accomplishments came about regardless of the assistance they received from others. The truth, however, is that no leader would be great without the support and help of teammates.As a leader, you will never get ahead until your people are behind you.Emerging leaders will love the foundation the Leadership Gold Mastermind Group provides. Experienced leaders will enjoy the insights and examples and will want to use the materials to develop the next generation of leaders on their team. Remember, good leadership always makes a deference!It has turned around organisations and positively impact the lives of thousands of individuals. If you are a CEO, Vice President, Business Owner, Manager, Director, or someone in a professional leadership position that wants to grow professionally while also building a strong team in your organisation, this Mastermind Group is the perfect opportunity for you. A Mastermind Group is a gathering of like-minded people who desire to focus on, and achieve their goals through, the study of a specific set of information and/or material, usually from one specific book or author. We offer a Maxwell-oriented Mastermind Groups (MMG) covering the above books by John Maxwell. Each Mastermind Group runs for 4-10 weeks, depending on the book, and each session lasts 60-90 minutes. We offer a combination of on-site meetings, as well as virtual webinar-type events. View Jürgen’s JohnMaxwellTeam site for a list of upcoming Masterminds sessions, and to book your place on one of these. Lunch ‘n Learn sessions are short (usually 45-60 minutes) informal events at which we address a specific leadership topic in a practical way. The sessions are ideal as lunch events or to add to a corporate team event. Lessons are based on the John Maxwell’s books, and can be tailored to suit specific organisational themes or requirements. Request more information or make a booking by contacting Jürgen. This site also provides access to the Maxwell online store. Jürgen is an experienced speaker and keynote presenter, and has addressed audiences across five continents. Whether you’re looking for an in-house event or a major international conference, his humour and insight are sure to get your guests thinking. See our Keynotes page for more information about topics, or contact us for a presentation tailored to your specific event. Need more depth? Each of the Mastermind, Lunch ‘n Learn and Presentation topics come with a wealth of knowledge, which we can present in workshop and seminar format. Contact us to discuss your needs and we will gladly tailor a program to suit. Our mission is to help you increase your organisation’s leadership capability, and thereby increase the productivity and profit of your teams and your organisation! Contact us today to get started on the journey.